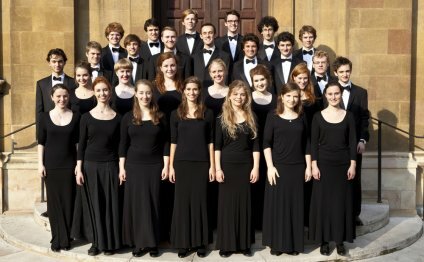 Since the founding of a mixed voice choir in 1971, the Choir of Clare College has gained an international reputation as one of the leading university choral groups in the world. In addition to its primary function of leading services three times a week in the College chapel, the choir keeps an active schedule recording, broadcasting, and performing throughout the United Kingdom and the world. The choir has been fortunate to have had four very fine directors: Peter Dennison; John Rutter; Timothy Brown; and since 2010, Graham Ross. The Choir has toured widely, including in the United States of America, Japan, China, Russia, the Middle East and throughout Europe. In 2000 it became the first Oxbridge mixed voice choir to perform at the BBC Proms, singing Bach’s St John Passion. The Choir has collaborated with the Orchestra of the Age of Enlightenment in performances of Handel’s Jephtha under the direction of René Jacobs, with the London Philharmonic Orchestra in Elgar’s The Dream of Gerontius under Edward Gardner, and with the Israel Camerata in Bach’s Weihnachtsoratorium. The Choir has also collaborated with the Academy of Ancient Music, Freiburg Baroque Orchestra, Manchester Camerata, and the Schubert Ensemble. The Choir gives frequent performances at many international festivals, including the Potsdam Sanssouci Music, Munich Opera, and Spitalfields Festivals and the Early Music Weekend at the Queen Elizabeth Hall, London. The Choir also regularly contributes to the Choral Evensong broadcasts on BBC Radio 3. In addition to live performances, the Choir has produced an impressive catalogue of recordings. Illumina, an exploration of the theme of light, was runner-up for a Gramophone Award, earning such comments as ‘breath-taking panache’, ‘the most fervent rendering I have ever heard of Rachmaninov’s Nunc Dimittis’, and ‘one of the most accomplished choral discs of the year’. The Choir’s numerous recordings on the Naxos label have been received to great acclaim. The Choir’s recording of John Rutter’s Requiem was awarded Editor’s Choice by The Gramophone, CD of the week on Classic FM, gave Naxos its first Number 1 in the classical charts, and was nominated for a Classical BRIT Award. Ex Maria Virgine, a new Christmas sequence by Sir John Tavener commissioned for the Choir, quickly became one of Naxos’ best-selling CDs. A recording of music by Vaughan Williams, Sacred Choral Music, was hailed as ‘exceptional’ by BBC Music Magazine and was acclaimed for its ‘sweeping energy and rich detail’ by Classic FM. In 2011 the Choir began an ongoing relationship with the Harmonia Mundi label, with a recording of Imogen Holst’s Choral Works due for release in 2012. The Choir performs a wide range of repertoire throughout the year with an ongoing commitment to contemporary works. The Choir has commissioned and premiered works by composers including Herbert Howells, Sir John Taverner, John Rutter, Jonathan Dove, Tarik O’Regan, Nico Muhly, and the College’s Composer-in-Residence, Giles Swayne.